For the 4th Year, the PRC is Sponsoring the U.S. Young Lions Competition! The competition requires teams of two PR professionals (30 years or younger – bornafter June 22, 1988) to create a communications campaign based on a brief provided by National CineMedia (NCM), the Cannes partner for the USA. 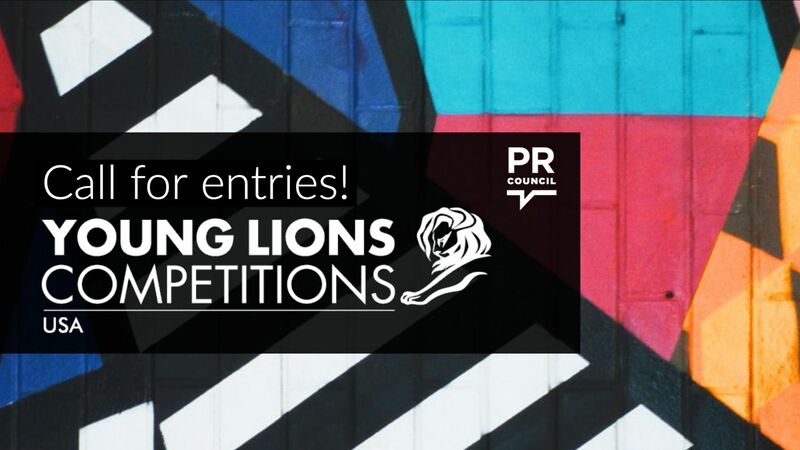 Judged by a panel of jurors, the winning team will attend the Cannes Lions Festival to participate in the global Young Lions competition representing the USA. You must have a team of two individuals for each competition, but the partners do not have to work at the same company. There is no fee to register. The brief will be sent to all teams on February 28 and is due on March 12. Winners will be announced in early May. Access the “Young Lions” tab for all registration information.Please be sure to read the “Official Rules,” included on the registration page.